When we recently bid farewell to Whyte & Mackay’s Graham Waddell – who retired after 47 years in the industry – we commented that we believed him to be our longest-serving DRAMS user. 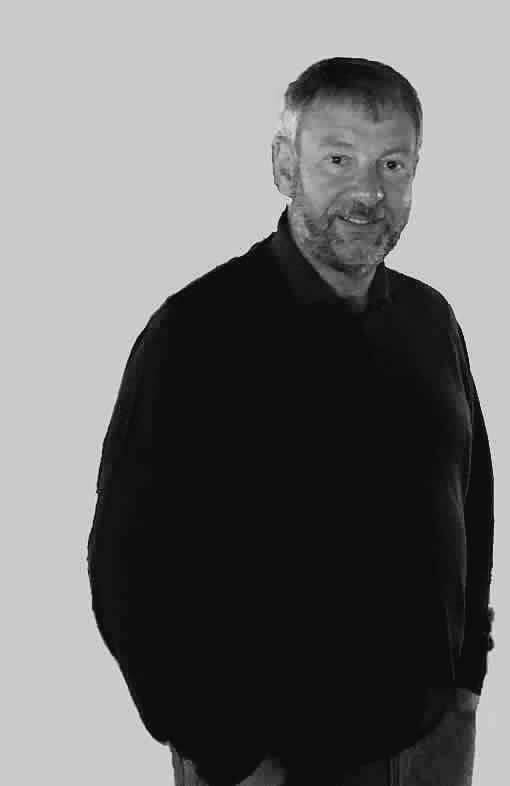 However, Alistair Paton has corrected us on that point: he actually began working at Loch Lomond Distillery in July 1978 and was first introduced to DRAMS back in 1983! Today, having enjoyed a range of roles in the industry, Alistair is employed as Operations Manager Cased Goods at The Tomatin Distillery Co. Ltd. We were extremely grateful when he agreed to spend some time with us discussing his career and time working with DRAMS. Q. Can you tell us about your early career and introduction to DRAMS? I started working at Loch Lomond Distillery in July 1978, so I’ve been in the industry for forty years. I wasn’t a heavy DRAMS user in the early days, but I was aware of DRAMS and received the basic training. In fact, until around ten years ago I still had a copy of the original manual which was sent out with the system. Back then computers weren’t all that powerful, so everything was written within certain parameters in mind. The work done by Colin Angus and Brian Johnston in these early days was amazing. These days DRAMS has grown so much; it’s so much more powerful, but it’s still based on that DRAMS system those guys wrote all these years ago. In latter years Graham Murdoch and Christina Weston have been absolutely fantastic at moving the system forward. Q. How did your career progress from there? After leaving Loch Lomond (who were owned at that time by Barton Distilling Scotland) I worked at Chivas Brothers, Gibson International and Speyside –where we implemented DRAMS with Dry Goods. I then did some consultancy work with The Tomatin Distillery Co. Ltd. before joining on a permanent basis. They used DRAMS for bulk stocks and casks but also wanted Dry Goods – we implemented that in 2007 and it’s still running today. It might sound like I’ve been around the block, but they were fairly long stints at each company. These days I am Operations Manager for Cased Goods at Tomatin, which means I look after all dry materials and procurement. Q. What does DRAMS mean to you? DRAMS is a massive part of what we do – I use its Dry Goods module every day. DRAMS is a huge, powerful system – there’s so much you can use it for. At Tomatin we now use more of the system than we did, but even now we aren’t yet using it to the max – although our staff are buying into it more and more all the time. I have attended DRAMS User Groups and over the years I have also been able to input into the product development – I’ve let the team know of elements that I felt the industry needed. As a result DRAMS is quite close to my heart: some of the functionality – like in Dry Goods – is, I like to think, partly down to me. Q. How has the industry changed? The industry today is dramatically different – it has become a lot more professional. In the past things were much more relaxed. When I joined, on site we had three customs officers and five revenue assistants – called ‘watchers’. There were two locks on every door, and you needed a customs officer before you could open the warehouse. These days things are far more open – we have moved from being under the watch of HMRC to being run by ourselves. I think the industry polices itself very well and is completely accountable – and DRAMS has helped by giving us the controls we need. From memory DRAMS was one of the first bulk stocks systems which HMRC gave their blessing to. I remember long hours with Stuart Henderson from HMRC getting things accepted. Q. What are the most positive changes? Integration with Flowlog is a similar story: in the past people printed out filling reports and then manually entered the cask data into DRAMS. Now that filling data is electronically transferred into DRAMS, which has been a massive improvement for the industry; we’ve moved from a very labour intensive process to one which is far easier and quicker – and more accurate, too. There have been many great times and memories but I remember years ago we had a break-in at a Loch Lomond distillery, during which the visitor fell through a roof and landed in a tub of bright yellow paint which we used to paint cask ends. The police arrived and found him covered in paint, resulting in the local press reporting a distillery break-in by ‘Buzby the Bird’ – nicknamed after a character from a Post Office Telecommunications (later BT) advertising campaign. Life in general was a little more light-hearted back then… that sort of thing would result in a major H&S inquiry now, but it was fun back in the day. Q. What do you enjoy most about working in the spirits industry? Every day is different. I have been fortunate in that I have moved around in different jobs and seen all sides of the industry. I have worked in a distillery, a vatting area and got a feel for materials; I helped reopen distilleries and managed procurement; I have worked in export sales which involved traveling to the Far East; I have implemented DRAMS in a couple of places, run bottling lines, and managed a variety of different projects. These days I also look after spirit stocks as well as materials/production. There have been so many roles – and there’s always something new. The industry is so fast moving, and so exciting. There’s always something different going on but also the core values remain the same. Right now we are looking at the impact of Brexit, which is big. I’ve been very fortunate to be in this industry for so long – and for the vast majority of that time it has always been fun.